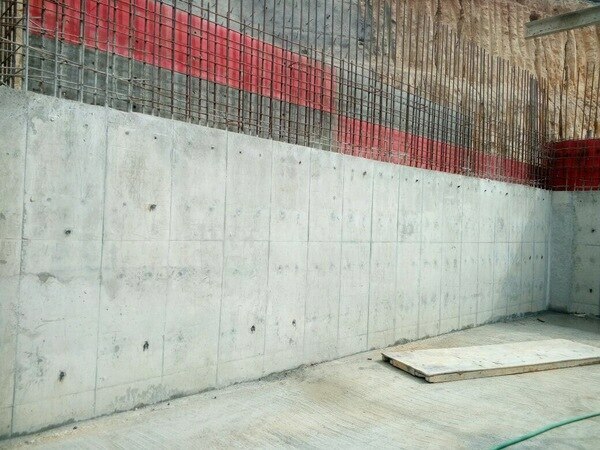 Nova Formwork Nova Formwork is a modular formwork made of high resistant plastic, for reinforced concrete column, walls, lift walls, shear walls etc.  Plastic Shuttering building system represent a revolution in the area of shuttering because of their universality, lightness, simplicity, durability, solidity, resistance to temperature change and of course their price competitiveness We would like to introduce ourselves as the manufacturers of Plastic formwork panels for columns, slabs, walls, lift walls etc. Introducing first time in India with the manufacturing facility at Ghaziabad and at Bangalore. We have many products for the construction industry other than these formwork also like floor guard sheets used as tile protector, used for water proofing, 12mm cross flute used for partitions, bathroom cubicles, shuttering board etc. We as a group have been into plastic manufacturing since the last 40 years and have been manufacturing many products from Plastic raw material, plastic chairs, plastic sheets used in construction, advertisement etc, and now into plastic formwork. We have been associated with construction companies from the last 3 years for various products and are developing many things which would help in reducing labors, get better efficiency and good quality control nd save cost as a whole. We have a wide range of formwork panels which can be used for walls, slabs, columns, beams etc with ease and which would be giving a very good surface finish and saving a lot of time. These formworks can be used to replace brick walls in construction of buildings which has become very time consuming and labour intensive. These modular formwork panels have been designed to fit in such a way that there is no gap and there are various sizes which would enable the making of all size walls with no gaps in between and so we would fix the modular panels as per the structure of the whole floor with fixing the window frames and door frames and laying the electrical pipes in the situ. We can cast the walls using pumps directly. In case of concrete walls this would be with steel rebars in between the situ and the columns and beams also would be casted simultaneously In case we need to reduce the costing of the brick walls in terms of labour, time and material then we suggest to have the load bearing columns , beams and slabs caste with concrete and the walls be casted with low weight concrete or cellular low weight concrete or foam concrete etc. Directly into the situ made by the formwork panels manufactured by us. This method would definitely save a lot of manpower, time, and energy also help in insulation properties that would help us to save energy and also earn carbon credits for using a greener technology. We at Nova Formworks require sales coordinator with following responsibilities and skills- Job Purpose: The candidate shall be responsible for Generating sales leads/prospects through tele calling, sharing the same with sales executive/manager, implement follow up mechanism, sales quotation preparation, order fulfillment follow up, work on data mining of customer base, data entry and maintain old/new customer master database, Responsibilities:	•	Shall be responsible for data mining of customer details of the industry •	Data entry & master database maintenance of old & new customers/prospects/leads •	Tele calling to new base for lead/prospect generation / receiving inquiry calls •	Provide sales team with data of leads & also take feedback on sales closure •	Implement feedback & follow up mechanism for sales closure •	Shall be responsible for order coordination & confirmation with the Sales team. •	Shall be responsible for taking the order from dealers & 3rd parties if applicable. •	Shall be responsible for preparing, Performa invoice. •	Shall be responsible for coordination with finance for payments clearance. •	Shall be responsible for stock confirmation with sales & purchase department before invoicing. •	Shall be responsible for generating final invoice & send the same to logistic for dispatch & also follow up on dispatch status •	Shall be responsible for maintaining & filing the invoice copies •	Shall be responsible for maintaining daily MIS Requisite Skills:	Excellent communication skills (Verbal & Written) in English & Local language(Hindi) Well versed with excel. Excellent coordination & execution skills. Ability to use required software applications to produce correspondence, reports, electronic communication, spreadsheets, and databases. Desired Skills:	Reasonable and logical thinker. Experience in coordinating with different departments. Education:	Any graduate Relevant Experience:	2-3years Interested candidate, please contact 9691933335 We Manufacture Plastic Modular Formwork System.